Shoojit's 'Pink' is a creative collaboration of some of the most talented artistes in India. Looks like 'Pink' is all set to bring yet another feather to the team's cap we feel! Mumbai: Shoojit Sircar's 'Pink' has overwhelmingly evoked stirring conversations and debates across the country ever since its intriguing trailer launched recently. Amitabh Bachchan's explosively provocative dialogues and Taapsee Pannu's never-seen-before avatar along with her friends submerged in mysterious circumstances and various thrill elements have the audiences keenly looking forward to its September 16th release. 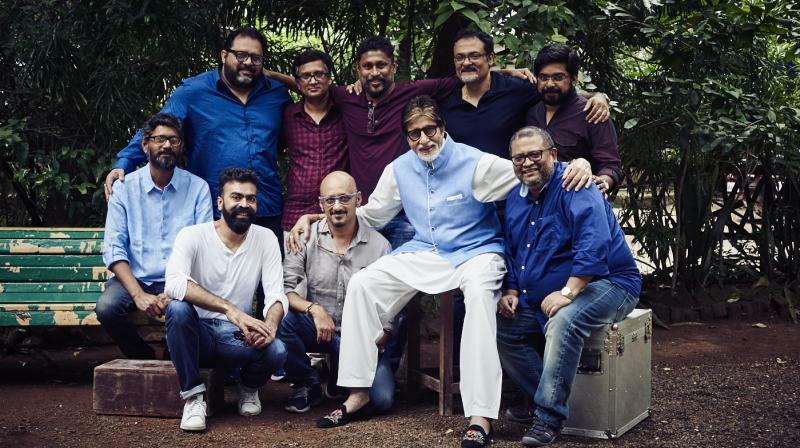 Shoojit's 'Pink' is a creative collaboration of some of the most talented artistes in India, with a staggering 10 National Award winners as part of its core team! Amitabh Bachchan commands the team with 4 National Awards to his credit ('Piku', 'Paa', 'Black' and 'Agneepath'), along with Shoojit Sircar winning the National Award for 'Vicky Donor', Producer Ronnie Lahiri winning for 'Vicky Donor' as well and Director Aniruddha Roy Chowdhury already established as a leading light in the field of direction with 2 National Awards in his kitty as well. "It has been a humble privilege and most enriching experience working with such award winning luminaries on Pink. Thanks to the film, we have formed a close and lifelong friendship and I am truly honoured to have had such an opportunity in my career," the filmmaker said. Looks like 'Pink' is all set to bring yet another feather to the team's cap we feel! Shoojit Sircar's 'Pink' releases on 16th September 2016. ■Amitabh Bachchan and Taapsee Pannu starrer Pink’s new song Kaari Kaari is out!